We all want to give our children an advantage in life. 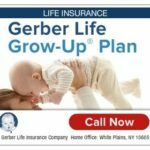 The Grow-Up® Plan is a whole life insurance policy that helps protect your child while providing savings for the future. A Gift that Doubles – Your Grow-Up® Plan not only provides up to $50,000 of whole life insurance for your child now, but the overage amount automatically doubles during age 18, at no extra cost! In addition to the coverage amount automatically doubling, your child will have several opportunities to increase coverage as an adult. Get started by requesting a Free Quote today!